Delhi High Court on Friday issued notice to former Indian Air Force chief Air Chief Marshal (Retd.) S.P. 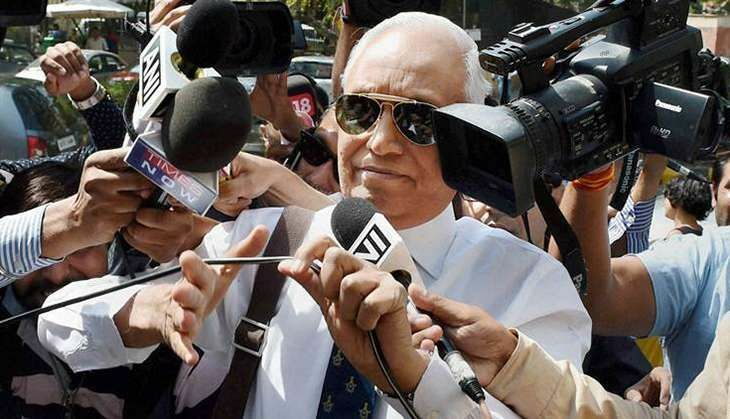 Tyagi after the Central Bureau of Investigation (CBI) moved the higher court seeking cancellation of his bail in connection with the AgustaWestland VVIP chopper case. On 26 December, a special CBI court had granted bail to Tyagi and questioned the manner in which the CBI had investigated the case so far. The CBI has moved the Delhi High Court against trial court's order. On Thursday, the CBI received replies from all eight countries to its Letters Rogatory in connection with the AgustaWestland VVIP chopper case. Sources said the information provided by the UAE and Singapore is of crucial importance to the CBI. "Both countries were recently approached through diplomatic channels for execution of the CBI's letters rogatory (LRs) or judicial requests at the earliest. Now the agency has received responses to the LRs it sent to eight countries for establishing money trail in the Rs. 3,767 crore Agusta Westland VVIP helicopter deal case," said sources. Mauritius, Tunisia, Italy, British Virgin Island, the UK and Switzerland are the other six countries where Letter Rogatory (a letter of formal request from court to a foreign court) was sent by the CBI, seeking assistance in probe and collection of documents in connection with this case. The CBI will very soon start a fresh round of questioning. Tyagi, his cousin Sanjeev Tyagi and lawyer Gautam Khaitan were arrested on December 10 in connection with this case. The court had on 17 December sent all the three accused to judicial custody till 30 December. The former air chief was yesterday granted bail on the condition that he will not leave Delhi or try to contact any witness in the case. Tyagi, who headed the Indian Air Force between 2004 and 2007, has been accused of abusing his official position to help AgustaWestland, a subsidiary of Italy-based Finmeccanica, win the deal to supply a dozen helicopters meant for the country's top politicians.